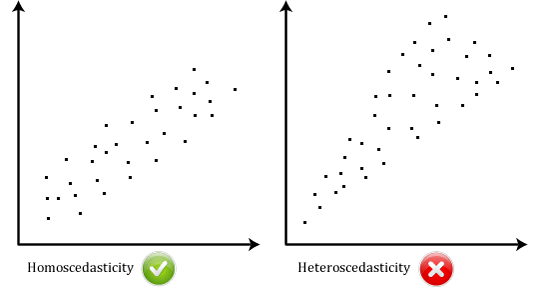 Pearson Product-Moment Correlation - Guidelines to interpretation of the coefficient, detecting outliers and the type of variables needed. 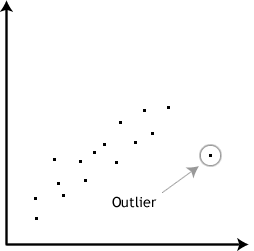 How can you detect outliers? Why is testing for outliers so important? No, the Pearson correlation cannot determine a cause-and-effect relationship. It can only establish the strength of linear association between two variables. As stated earlier, it does not even distinguish between independent and dependent variables. How do I report the output of a Pearson product-moment correlation? where the degrees of freedom (df) is the number of data points minus 2 (N – 2). If you have not tested the significance of the correlation then leave out the degrees of freedom and p-value such that you would simply report: r = -0.52. Can I determine whether the association is statistically significant? Yes, the easy way to do this is through a statistical programme, such as SPSS Statistics. We provide a guide on how to do this, which you can find here. You need to be careful how you interpret the statistical significance of a correlation. If your correlation coefficient has been determined to be statistically significant this does not mean that you have a strong association. It simply tests the null hypothesis that there is no relationship. By rejecting the null hypothesis, you accept the alternative hypothesis that states that there is a relationship, but with no information about the strength of the relationship or its importance. The coefficient of determination, r2, is the square of the Pearson correlation coefficient r (i.e., r2). So, for example, a Pearson correlation coefficient of 0.6 would result in a coefficient of determination of 0.36, (i.e., r2 = 0.6 x 0.6 = 0.36). The coefficient of determination, with respect to correlation, is the proportion of the variance that is shared by both variables. It gives a measure of the amount of variation that can be explained by the model (the correlation is the model). It is sometimes expressed as a percentage (e.g., 36% instead of 0.36) when we discuss the proportion of variance explained by the correlation. However, you should not write r2 = 36%, or any other percentage. You should write it as a proportion (e.g., r2 = 0.36). To run a Pearson correlation in SPSS Statistics, go to our guide here.